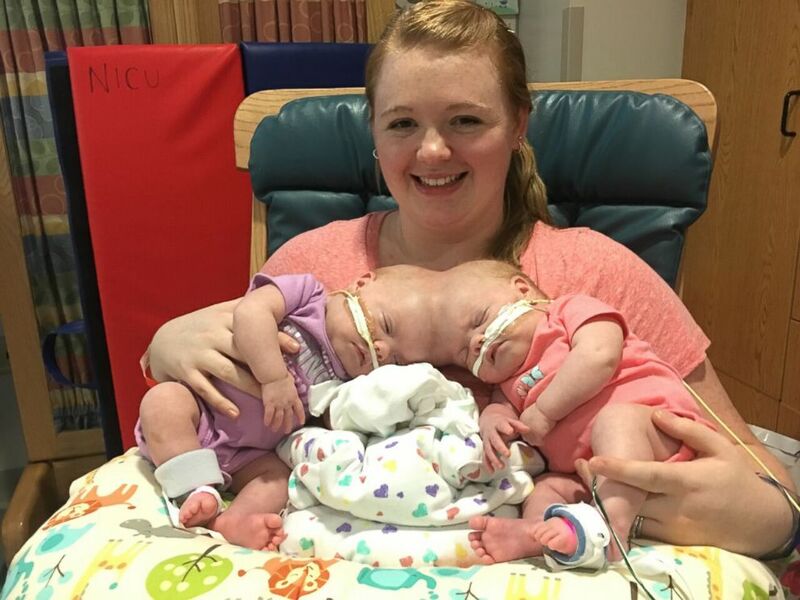 A set of twin girls who captured the world's attention after surviving an 11-hour head separation surgery are now healthy 2-year-olds. 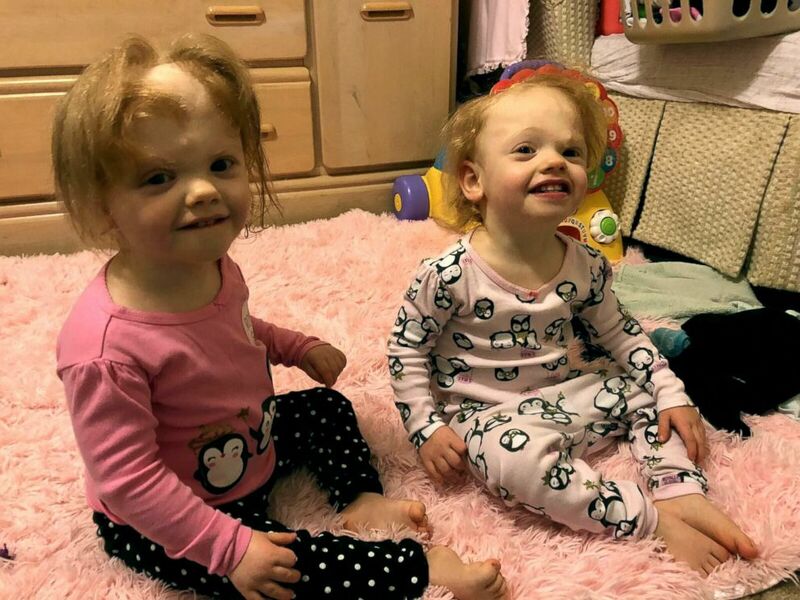 Twins Erin and Abby Delaney, now 2 years old, were born attached at the head. 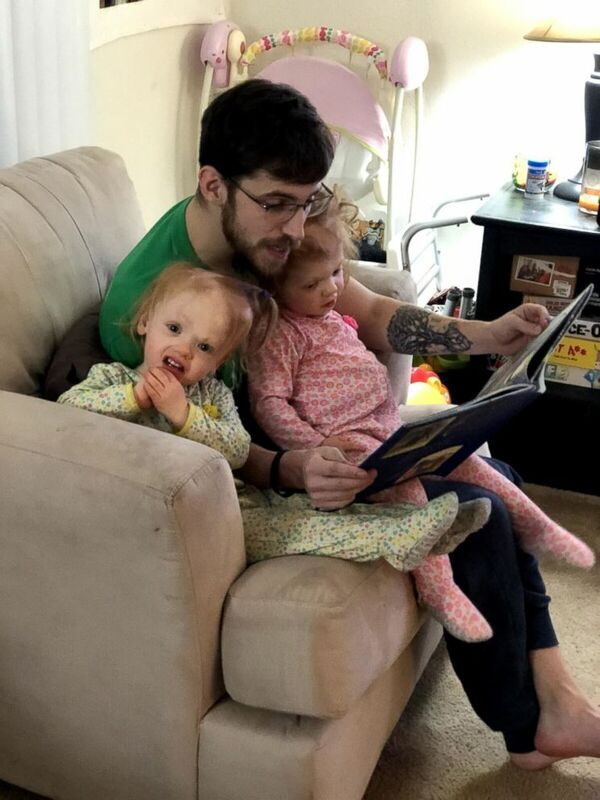 Twins Erin and Abby Delaney are seen an undated photo listening to a story read by their father, Riley Delaney. 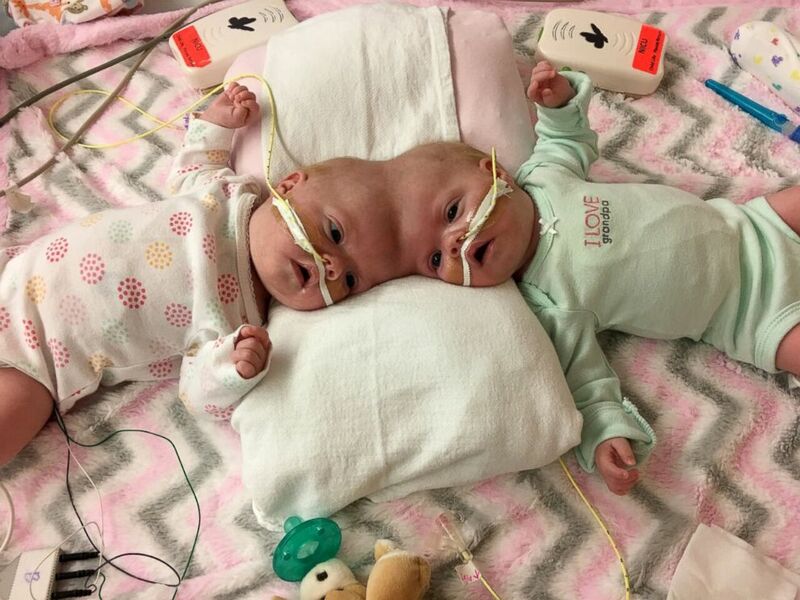 Twins Erin and Abby Delaney were once craniopagus conjoined twins, but were surgically separated in 2017. 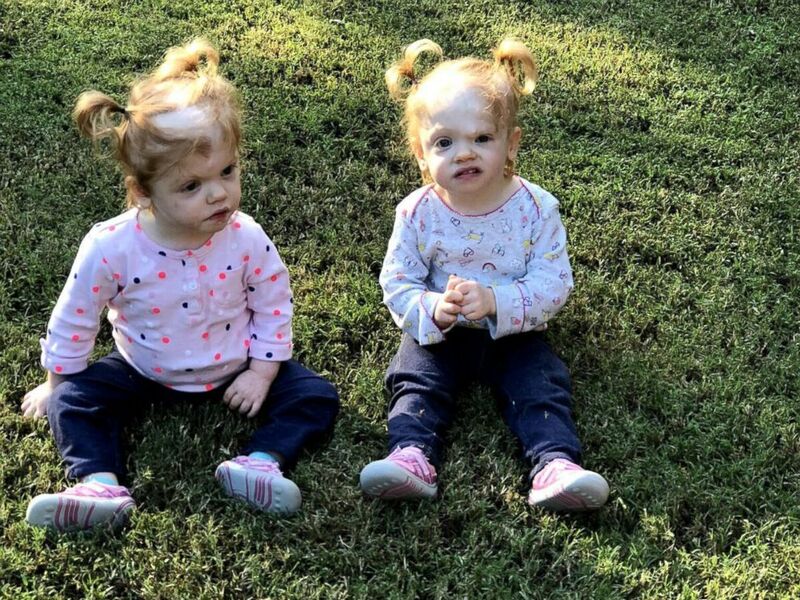 Twins Erin and Abby Delaney, now 2 years old, were born attached at the head but underwent one of the wrold's rarest separation surgeries. 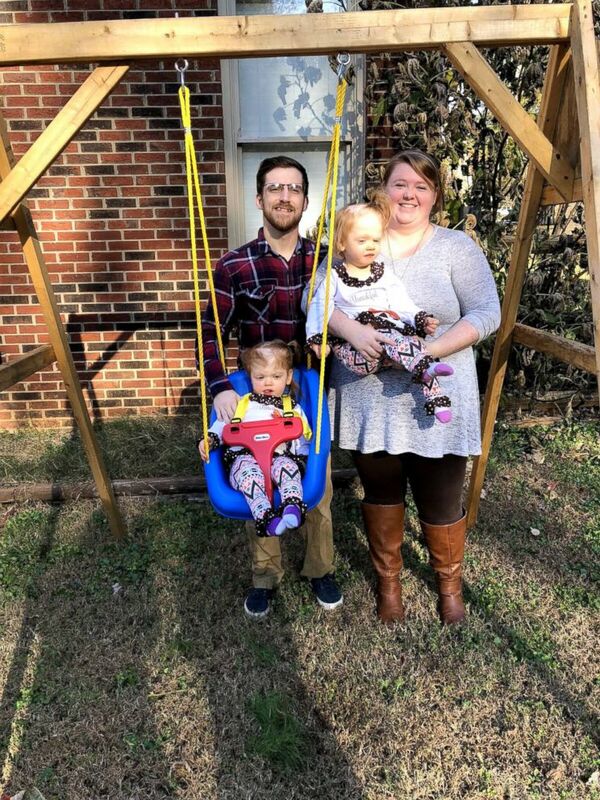 Erin and Abby Delaney are thriving two-year-olds, living with their parents Heather and Riley in Mooresville, N.C.